Examine the commanding posture my son took in this picture and then, in the “comments” section below on this page, please leave your suggestion for the best caption. My favorite will have an honorable mention at this year’s “Dorkies” award ceremony. Valid only in participating states. No substitutions, exchanges or refunds. Offer expires when the Mayan calendar runs out. Now we know why Mickey has such a high voice. M, I, C… K, E, Y… M, O… ooh em gee!! 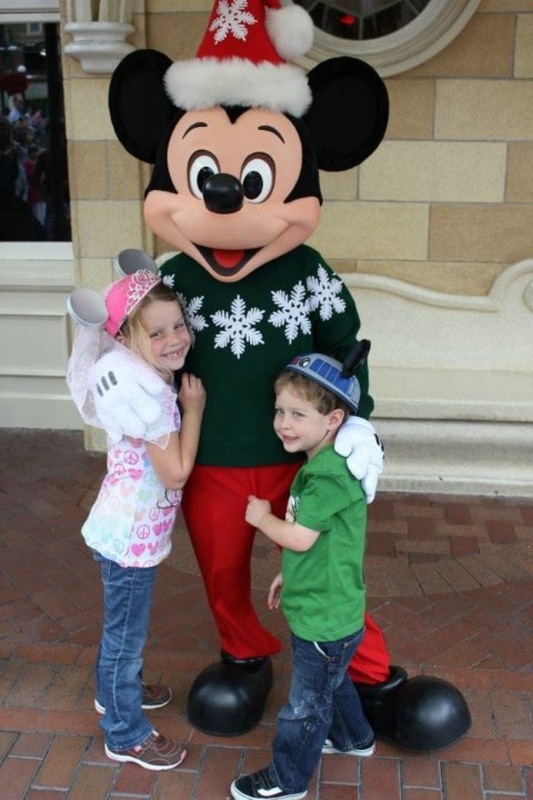 Boy: Alright I’ll let you go on one date with my sister, Mickey… but I’m warning you…..
Oooh… I LIKE that one. My son is nuts for Mickey! My father really wanted to leave the caption “It’s the Dickey Mouse Club”, but my mother wouldn’t let him. Here’s lookin’ out for the Dork(grand)Daddy.